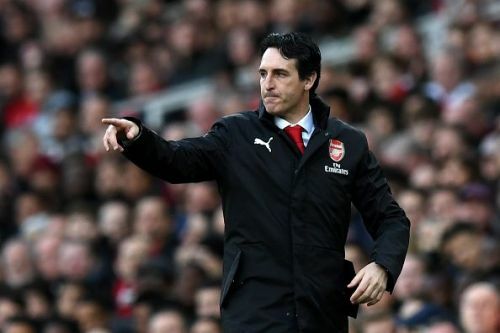 Will Unai Emery and the Arsenal board look to add to their squad come January? All the Arsenal transfer news in one place! According to a report from the Guardian, Arsenal are considering making a move for Roma midfielder Cengiz Ünder. The Gunners have had a bright start to the season – they are currently on a 19-match unbeaten run – but have a serious need for a wide player in their attack. The report further says that Arsenal had sent scouts to study the performance of the attacker against Inter Milan on Sunday, when Rome locked horns with them at Stadio Olimpico. Up until now, the likes of Alex Iwobi, Henrikh Mkhitaryan, Mesut Ozil, and Pierre-Emerick Aubameyang have been trying to fill the voids on the flanks. However, the club lacks an out-and-out winger who can add zing, pace and power to their attack from the wide areas. Welsh international Aaron Ramsey, who is in the last year of his contract with Arsenal, is strongly rumoured to exit the club the January or at the end of the season. The club have reportedly pulled the offer they were willing to offer the midfielder, and instead, are looking for better replacements. One of those names is Lyon's Houssem Aouar, as reported by Le'Equipe (h/t ESPN.uk). The North London club might face competition from Liverpool, who have also been rumoured to have interest in signing the 20-year-old. On the other hand, Real Madrid have joined the long list of clubs who might pursue Ramsey in the January transfer window. The La Liga giants are apparently planning to tempt the box-to-box midfielder with a pre-agreement contract come January.